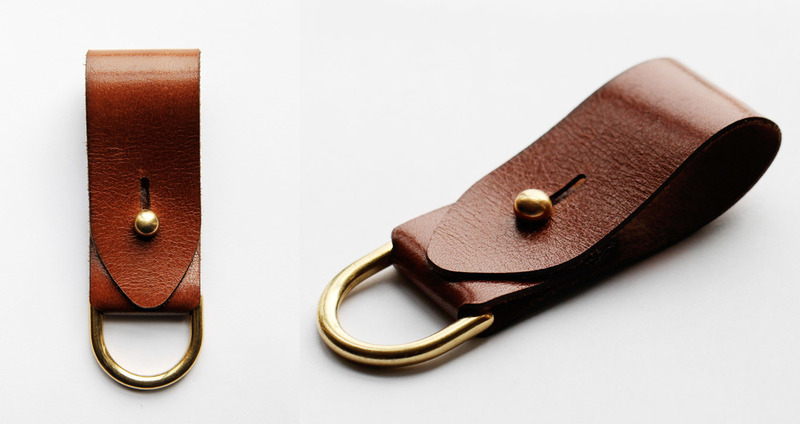 Our Leather Key Fob helps you keep your keys conveniently hanging on your belt while looking classy. Its strap is cut out of 4 oz thick top-grain leather accented with solid brass stud button and large D-Ring. Each of the materials making up the Key Fob carry an inherent variation in color and texture making every piece unique. Over time it will develop rich, burnished patina giving it even more character.